Right now we’re planning the walls…. whom to place what, where and sometimes how? I liked the hide and seek game during my child stage . we always try our best to hide,so each tome we disguise and put various thins on our face Iike this game very much. But these days,I am relating my on going life with the same old days game.Once again, I am feeling alone some and far behind hiding.i am not experiencing independent because I am overshade my increasing boundless desire,changing society and restrictions of family.And always i express my repression in my painting. Read more about our upcoming opening here. 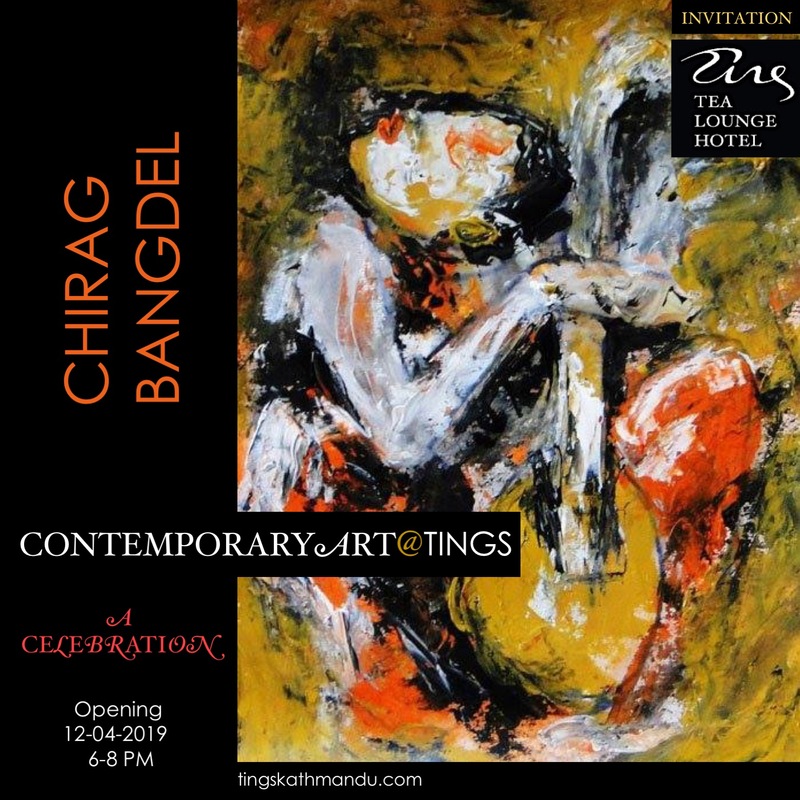 Posted in Art@TingsTagged Aditya Aryal, Annette Tingstrup, Arjun Khaling, Art@Tings, HitMan Gurung, Hotel, International, Kathmandu, Laxman Karmacharya, Lazimpat, Nepal, Sheelasha Rajbhandari, Shraddha Shresta, Sudeep Balla, Thomas Tingstrup, Tings Lounge Hotel, Tings Tea LoungeBookmark the permalink. Meet Lakha Lama Rinpoche at Tings in Lazimpat on Tuesday 11th December.